Since 2003 Ivan Pivotti works in the Spanish music sector in the field of booking and management. From 2003 to 2005 has been working with the company Flamenco Libre and from 2007 to 2012 with La Bikina (Valencia – Spain) as a booking and production responsible of International Jazz Performances. 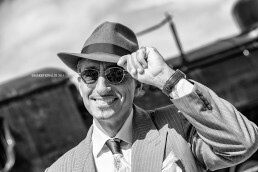 In 2012 started his own Jazz and Swing Booking and Management agency, MARMADUKE S.L. of which is the manager. 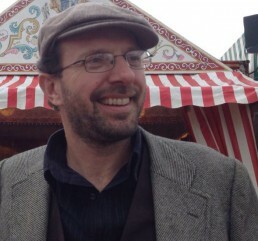 Marmaduke is the coordinator of Soundroutes and Swinging Europe, both projects financed by the Creative Europe programme of the European Commission. Big Daddy… Band leader (Billy Bros. Swing Ork. – The Hoofers Club), singer, double bass player, MC (Swing’n’Milan, Roma Lindy Exchange, You Wanna Be Americano, Swing on the Beach, Perugia Swing Festival), DJ (Swing Crash, Swing on the Beach, Perugia Swing, Roma Lindy Exchange), dance teacher, events manager (Swing on the Beach, LOT), cultural stimulator, All dat’s Swing’s nerdie and craze. Georgi Evgeniev is part of Lindy Hop Bulgaria – the largest swing dance school in Bulgaria. Swing dancing has become his passion and way of life ever since his very first steps in the dance studio. 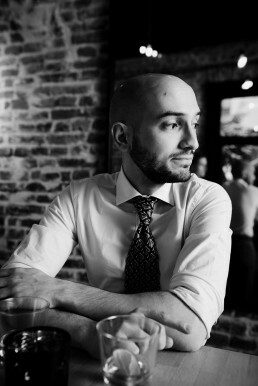 He has been professionally engaged in swing dancing since 2014 when the Bulgarian swing dance scene started growing. He teaches daily classes in Lindy Hop and Collegiate Shag. 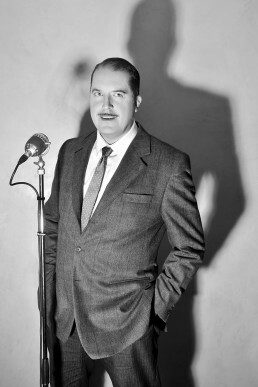 He is also experienced in balboa, authentic jazz and boogie woogie. As of 2015 Georgi is involved in the organization of Sofia Swing Dance Festival – one of the fastest growing swing festivals in Europe that gathers some of the most renown international musicians, dance teachers and more than 700 passionate dancers from all over the world. Georgi is passionate about early jazz and swing music and the effect those styles have on the development of dance culture now and then. Christophe Erard Founder and organizer of Marckolswing! International Classic Jazz Festival. The board jury reserve the right to refuse the application of candidates in the case of an incomplete application. In addition to the prizes the Festival organizers will cover the costs of travel and accommodation. Candidates do not need to have a European nationality, but must be currently based in a European country. The organizers reserves the right to photograph, record, film, stream during the performances related of the winning artists. In order to take part to the contest, bands and artists need to register in the Swining Europe Portal by creating an “Artist” profile. The profile should be duly and fully completed and made it public on the artists section of the web portal. By submitting the entry form, candidates agree with the terms and conditions of the competition and the competition rules.